Are You Forgetting To Brush Your Tongue? You’ve cleaned all surfaces of your pearly whites for the recommended two minutes of time. Great job! However, you’re not done. Before you rinse and spit, don’t forget your tongue. Many patients either forget or neglect to brush their tongue each day. This is an unfortunate mistake. 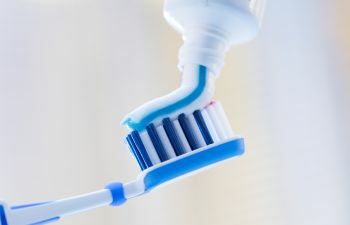 Not only can leaving your tongue dirty sabotage your tooth brushing efforts, it can also be a primary contributor to bad breath and gum disease. What’s the big deal about your tongue? Your tongue helps you speak and eat, but it is also a prime place for bacteria. It not only provides a warm environment, but it contains numerous grooves and tiny papillae for food debris to hide. Oral bacteria thrive on the leftovers from your snacks and meals as well as the dead cells that stay on your tongue. As the bacteria breed, it produces foul-smelling sulfur compounds, which gives you bad breath. Tongue-brushing is the only way to stop this ugly process from occurring and keep your breath fresh. Bad breath is just one consequence of not cleaning your tongue. You’re also undoing your tooth brushing efforts. We brush our teeth to remove the harmful substances that cause gum disease and decay. However, if you’ve neglected to brush your tongue, bacteria, food debris and sugars will be quickly reapplied to your teeth from your tongue. Take the extra seconds to brush your tongue so that your efforts aren’t in vain. All parts of your dental health need a thorough cleaning, including your teeth, gums and tongue! When you brush your tongue, make sure you do it correctly. You need to brush all surfaces, not just the top. If you have a severe gag reflex, consider a tongue scraper tool. For more tips on keeping your oral hygiene in check, turn to Mitzi Morris, DMD.